WordPress for iOS lets you write posts, upload photos, edit pages, and manage comments on your blog from your iPhone, iPad, or iPod touch. With support for both WordPress.com and self-hosted WordPress (3.1 or higher), users of all experience levels can get going in seconds. WordPress has never been quite so mobile before. Designed for both iPhone/ iPod Touch and the iPad, WordPress for iOS makes it easy to share photos, write posts, and edit your content while on the go. Creating and editing posts is at the heart of the WordPress experience. 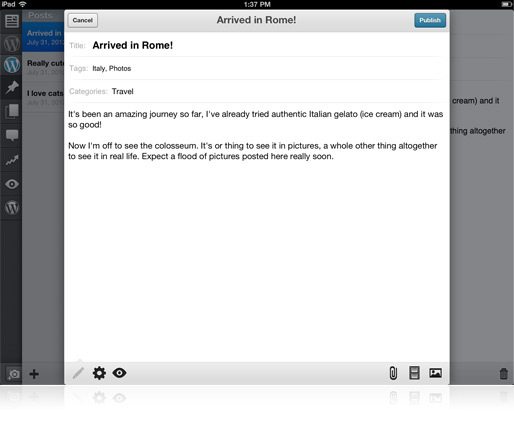 Write, add photos, check your spelling, and even create links without having to write a single line of code or HTML. When you’re writing and you’d like a bit more room, just rotate the screen. 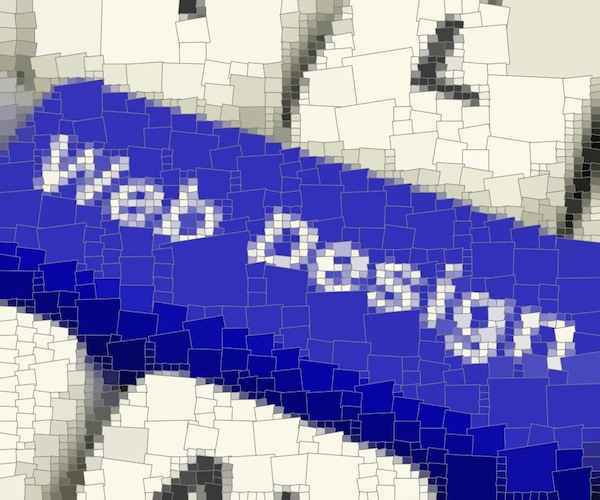 WordPress will automatically adjust to a more comfortable widescreen layout. Moderate, edit, or reply to comments — it’s never been easier to stay in touch with your readers. Swipe a comment to reveal a quick moderation menu. 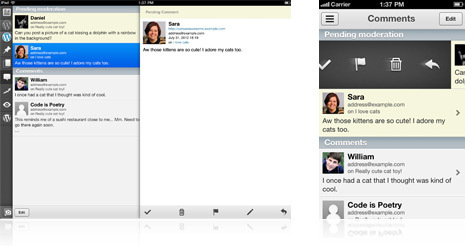 For popular posts, you can quickly bulk moderate comments through the intuitive interface. 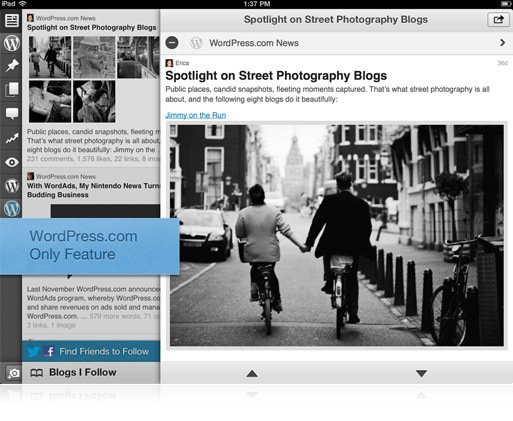 Add as many photos as you like — WordPress will automatically insert them into your post. Both high resolution and web optimized photos look and work great. Has a photo blog? 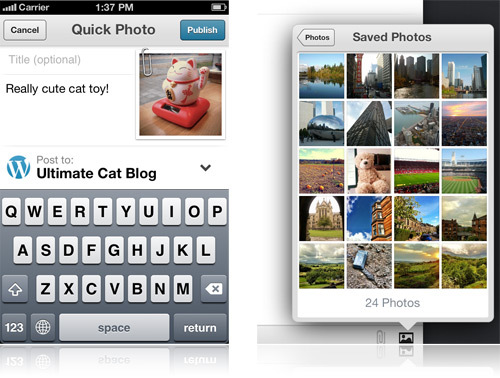 Use the Quick Photo feature to post a photo in seconds. If you have a WordPress.com account, use the Reader to follow your favorite blogs on WordPress.com and anywhere else on the web. You can Like or Reblog a post to your site in just one tap.